A Pressure Sore, also known as a Bed Sore, is an injury to the skin and the tissue under it. A pressure sore develops when the blood supply that provides the tissue with oxygen and nutrients is cut off, and the tissue dies due to the lack of oxygen and nutrients. The oxygen and nutrients are essential for a healthy tissue. When the patient remains in the same position for a prolonged period of time, it can start the process of tissue breakdown. Pressure Sores can also be referred to as Pressure Ulcers or Decubitus Ulcers. The damage from a Pressure Sore can range from slight discoloration of the skin (stage one) to open sores that go all the way to the bone (severe). The affected area may feel warmer than the surrounding tissue. In light-skinned people, the discoloration may appear as dark purple or red. In dark-skinned people, the discoloration will appear darker than the surrounding tissue. Bony prominences are the areas most susceptible to damage (head, elbows, hip, sacrum, knees and heels), but in reality, any area of the body is vulnerable if is not managed, redistributed or relieved. Research concludes that up to 25% of all Pressure Sores begin during surgery. Gel Pads can be used during surgery and post-surgery in the ICU to position the patient, hence preventing the occurrence of Pressure Sores. 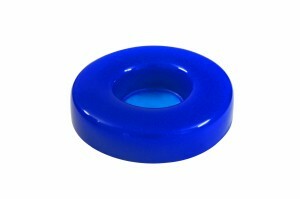 Positioning Gel is easily conformable and hence is able to redistribute pressure at highly stressed points on the body. Galaxy India Medical Solutions has developed a range of pressure relieving pads and plans to introduce more in the near future. 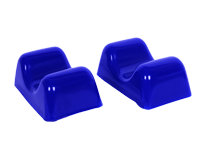 All gel pads are made with soft, comfortable and durable Positioning Gel. They can be washed and cleaned with warm water and a soft detergent before reuse. They are latex free and non-hazardous. 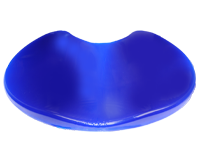 The Head Base Gel Pads can be placed under the patients head during supine positions. The unique shape conforms to the patients head. 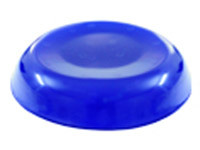 The head base gel pad is available in neonatal and adult sizes. The Horseshoe Gel Pad can be used when the patient is in prone position. The horseshoe shape provides space for intubation tubes for the patient. 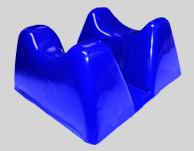 The Horseshoe Gel Pad is available in adolescent and adult sizes. The Head Ring Gel Pads can be placed under the patients head during supine positions. The unique shape conforms to the patients head and helps in the healing of a sore occipital bone. 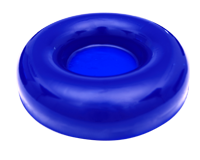 The Head Ring Gel Pad is available in adolescent and adult sizes. The Head Neck Base can be placed under the neck or inferior to the occipital bone of the head to provide extension of the neck muscles during surgeries in the neck region. The product can also be used to support other bony prominences especially in the lower hip. The Crutch Gel Pads are designed for use during a gynecological procedure, especially when the patient is placed in a lithotomy position. The crutch gel pads are designed to fit most of the stirrups in the operating or examination room. Relieve the chest in prone position thereby maintaining better respiratory function. Protect the hip and chest for extended surgeries requiring prone position. Upper Arm in Prone and Lateral Positions. The neonatal set is used to position the neonates during surgeries in all supine and prone positions. The Gel Pads in the neonatal set are intended to also protect the delicate nerves and muscles of the neonate during a surgery. The neonatal set also provides excellent comfort for a neonate in the neonatal intensive care unit. The Universal Pad can be used as a mattress overlay in the incubators. The Head Cradle is used to support the neonates head while in the warmer or incubators, especially when the neonate is on ventilator or other respiratory support. It is available in two sizes; preterm and full term size. The neonatal rolls can serve multiple purposes. They can ideally be used to support the neck in the supine position; support and protect the chest of the neonate in the prone position. The neonatal rolls come in 3 sizes and can be used accordingly for both preterm and full terms. The phototherapy Gel pad is made of 100% silicone gel and can be used in a neonatal intensive care unit. The gel pad is transparent and can be used under the infant during double surface phototherapy. The gel pad protects the delicate skin and nerves of the infant, especially the pre-term infants. The phototherapy gel pad can also be used while the infant is placed in the warmer. The gel pad will heat only up to the warmer set temperature and provide the infant with the warmth during the on-off cycles of a standard warmer as well as during an abrupt power disruption. The phototherapy gel pad can be washed and cleaned using standard disinfectants.